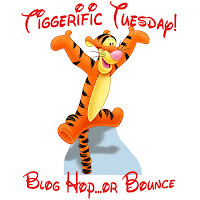 Tiggerific Tuesday! | Back Home Again: Tiggerific Tuesday! What Happened to My Sweet Baby?! Yes, I am a Dork!